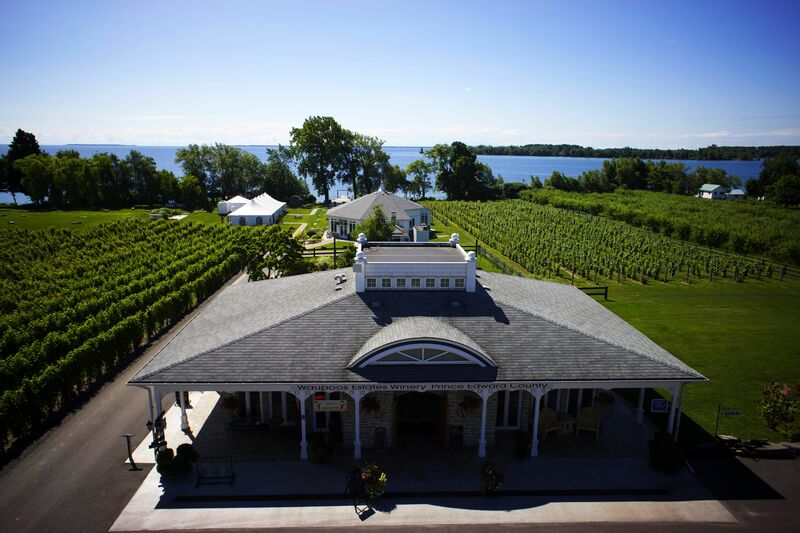 Waupoos Estates Winery sits on a majestic 100acre water front property! The only winery that sits right beside Lake Ontario! Being at the water’s edge not only makes for beautiful scenery, but we also have a small dock for boaters to come and enjoy our estate! Our 20 acre vineyard has grown with new plantings of Shiraz grapes, Gewürztraminer grapes, and Gamay Noir grapes. We are anxiously awaiting the first harvest of these new plantings! Grapes aren’t the only thing we are growing – we have an apple and peach orchard, a modest citrus grove and a vast sugar bush, where we tap 1,500 maple trees to produce our own Maple Syrup. Waupoos Estates Winery has something for everybody and fun for the whole family! Check under Things to do to plan your visit.